American Express encourages small business owners to take charge of the day after Black Friday, with Small Business Saturday. The company helps local business owners promote their businesses with free personalized ads, which appear millions of times across the web. The goal is to have shoppers support their neighborhood businesses like never before, and for it to become a holiday shopping tradition. I just took the first step toward making Small Business Saturday® another great success for my business. It took less than 3 minutes and I have all kinds of cool ne marketing materials already made for us to promote our business. The WSDBA hopes all of our members take advantage of this FREE help to work on bringing more business our way. Here is a list of some of the things you get….FREE! These guides can help you plan the perfect Small Business Saturday event for your customers and help make the day one for the record books. Display these in a prominent area within your business to let customers know they can Shop Small® with you. Hand these out to customers to remind them to come out and Shop Small on Nov 28. Show your customers how much they mean to you. Fill in your unique Small Business Saturday promotion and display it in your store. Spread the word about your Small Business Saturday event. Just fill out your event details and post around your neighborhood to help make the day a success. Help drive traffic to your business on social platforms like Facebook and Twitter. Post on your business website, blog and social platforms, and include in newsletters or emails you send out to customers. 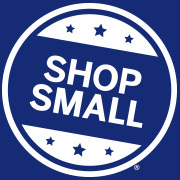 Send out reminders to customers letting them know they can Shop Small with you on Nov 28. Simply insert the downloadable image into the body of an email or customize your own using the message and images provided. Upload this image to your Facebook page to remind your followers to stop by your business. Display these on your website or include them on printed customer materials. START PROMOTING YOUR BUSINESS TO GET CUSTOMERS TO SHOP SMALL WITH YOU. Also available are balloons, tote bags and more. Why any business would not take advantage of this is beyond me. Get started here! PreviousPrevious post:November 4, 2015 Water Street Rall-ENextNext post:ARTS & EATS!!!! Mark your calendar!